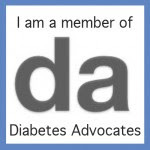 There are a lot of reasons I LOVE the Diabetes Online Community. This is one of them. A little over 24 hours ago, a friend posted that her T1D daughter needed to get glasses. 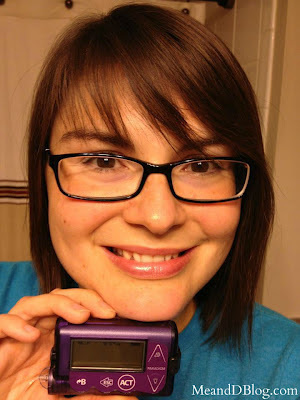 And that she was worried about not being pretty with her glasses and insulin pump. Sara, Kim, and I decided we needed to tell her the truth. That she's BEAUTIFUL!!!!! I've had diabetes for almost 19 years, and got glasses about six months after diagnosis. I got my first pump in 1998. And I haven't gone a day without my accessories since. There are lots of people who rock both dysfunctional pancreai and glasses. So we asked them for help! In less than 24 hours, we had enough pictures and videos of people for Sara to make a video out of them! The fact that so many people jumped right in, to help someone they don't even know, makes my heart sing. I love the DOC. Thanks team. This is why the DOC is AMAZING, truly AMAZING. I feel like I've been floating on a cloud ever since I watched the video for the first time last night. I have loved every last second of this amazing experience...the DOC magic. It's so much more than MY daughter. It's everyone who has ever felt a that twinge of insecurity...and the response of people who understand. As a parent of a 6year old T1 - Thank you! This is why I LOVE the DOC!